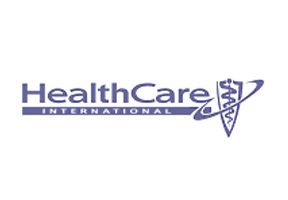 Operating from the United Kingdom, HealthCare International or HCI offers the global expatriate community a wide range of health insurance products and services. HealthCare International’s client base consists of individual expatriates and their family members located throughout the world, including Thailand. Policyholders resident in Thailand have access to some of the most flexible medical insurance plans currently available within the industry. For over 35 years, HealthCare International has maintained a customer first policy that has resulted in its policyholders receiving high quality service and support. As a result, some of HCI’s plans offer comprehensive levels of coverage that other providers may be unable to match. With regard to dealing with large multinational companies, I don’t think I’ve ever had it as easy as I did when trying to arrange cover with HCI. The various options and plans available to individuals like me were explained in great detail with very little insurance or technical jargon. Once I chose a plan, the administration department handled all the paperwork and cover began almost immediately. It all bodes well for the future, HCI are a great provider to work with. Detailed information and advice on HealthCare International or on Thailand health insurance in general can be requested by contacting one of our staff members here. Alternatively, please submit your details in the request section which can be found at the top of this page.